It's time to update your network and share your success with other women, if you haven't already. Though it's true that there aren't enough women in prominent positions in the corporate and business fields, there has never been a better time for women to change the statistics and climb the ladder or shatter the glass ceiling. Here's a round-up of the notable women-led organisations that could help you reach the business goals you have set for yourself. The Business Women's Association of South Africa (BWA) is an establishment that seeks to support, connect and grow women in business. 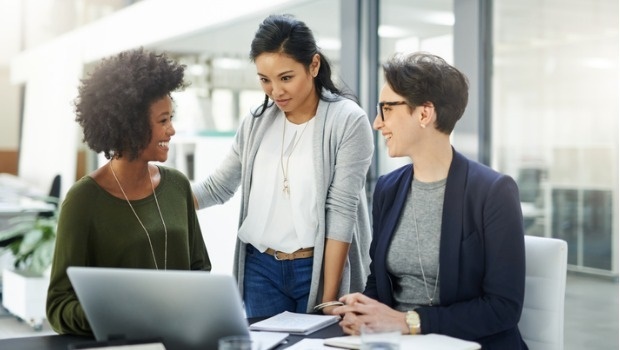 With seven branches all over the country, the BWA is dedicated to connecting businesswomen to the contacts and networks they need, while helping them build their careers and businesses. What we love about them? BWA makes an effort to award bursaries to deserving students country-wide as part of their commitment to strengthening future leaders. The organisation is celebrating its first birthday this month and it's now a global movement. Founded by Cerina Bezuidenhout and Lauren Dallas, Future Females is a movement that was created to inspire female entrepreneurs and support their pursuit for success. They provide platforms for women to connect, collaborate with and inspire each other, while gaining access to the resources they need to succeed. You can also become an ambassador and launch Future Females in your own city, allowing you to build your network and empower other women. This perfectly sums up the Future Females journey from day 1. It happened bigger and quicker than we have ever anticipated, but it has been one of the most rewarding experiences. . 10 chapters & 10 000 members later in only one year - today we celebrate our very first birthday. HAPPY BIRTHDAY to us ????????. . Thank you to our team and ambassadors for getting us where we are today. But most importantly of all thank you to our Future Females community - you are the driving force behind what we do. Thank you for helping us grow & build a community of powerful entrepreneurs and intrapreneurs. ?? . We can’t wait for what the year ahead holds ????. Founded by Nthabeleng Likotsi, the Young Women in Business Network (YWBN) wants to empower women and encourage a culture of saving and investing. Currently, YWBN is in the process of establishing a women’s co-operative bank in South Africa that will focus on professionals, entrepreneurs and business people. Nthableng is set to become the first black woman to own a mutual bank through the YWBN. This is not only an organisation but an annual event which creates opportunities for entrepreneurs and business women to come together and learn from each other. For this year's event, set to take place in November at the cost of R1 950 for a 2-day pass, the the event will bring together major and minor players in the African and global entrepreneurship space to discuss and find solutions to entrepreneurship issues and challenges. This online community focuses on showcasing women's businesses, sharing information and advice, opening up opportunities for collaboration, and creating conversations around some of the biggest challenges facing women entrepreneurs in Africa. Celebrating #WomensMonth - 21 of Africa’s game-changing #Tech and #Digital women #entrepreneurs via @lionessesA https://t.co/aHQLVbJJsG. What are some of the notable organisations for businesswomen and entrepreneurs that you're interested in? Tell us about them. Are DMs and retweets a creative new way to apply for jobs or get funding?